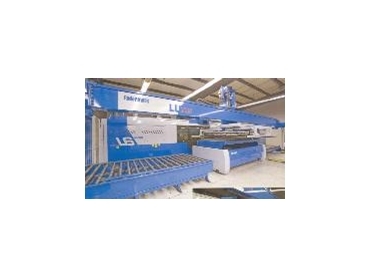 According to Advanced Sheetmetal Technologies, Laser cutting is gradually gaining its place in Australia and New Zealand. If adoption of this technology overseas is an indicator, as its fabricators grow their markets, it can expect more laser cutting technology to come into play. In the USA, laser cutting is gaining popularity predominantly due to its ability to provide a high-quality edge. Considering that, its fabrication swings tend to mirror those of North America and Europe, it could expect to see more laser cutting equipment used by fabricators particularly as integration with other high technologies such as automation and robotics. An overseas example which is likely to be a similar (if scaled-down) occurrence here is that of Great Lakes Manufacturing. This USA company began operations in 1998 as a precision sheet metal fabrication shop when its original function was to be a supplier to sister company Great Lakes Case & Cabinet. However, this objective was met and dramatically exceeded due to an exceptional performance by the company’s management and 102 employees. Using the new technology combined with a commitment to lean manufacturing the company has differentiated itself. Automation, robotics, information technology, and a high level of employee skill allows it to be competitive in a global economy, something which has been of intense interest to a growing number of fabricators in Australia and New Zealand. But the telling factor has been that Great Lakes Manufacturing in the past two years has invested more than US$3-million in its facility. Part of that investment was earmarked for the procurement of a new laser. A representative from the company visited several companies and thoroughly investigated the best lasers on the market. The same study was sent to each of these companies. The representative also came across the Finn-Power L6 laser work centre. When the time studies of the same nesting run came back, Finn-Power’s time was 60% faster. It was a massive production improvement. Great Lakes also received some parts back so it was able to check the edge quality and everything worked out well. The company selected the L6 with load/unload and a 10-shelf storing tower which was installed in December, 2004. The Finn-Power L6 laser work centre utilises a flying optics/moving beam system driven by a linear drive motor system to achieve maximum speeds, even while cutting small notches or narrow contours. The L6 features a 4 kW fast axial flow CO2 laser. Cutting speeds up to 60mm/min are reached using nitrogen as cutting assist gas. The L6 can process sheet sizes up to 18.2m x 36.4m and up to 20mm in thickness. Performance values include a positioning speed of 300m/min., acceleration of 2g, and cutting speeds up to 60m/min. Unlike conventional repositioning, where straight line movements of the cutting head waste time, Finn-Power optimises the cutting head movement with Ping Pong repositioning. This smooth and efficient transition translates to added production speeds up to 1,000 holes per min are now possible. A patented L6 rigid frame design withstands all the forces of high-speed positioning and provides a solid base for stable beam delivery optics. Automation was another key reason for choosing Finn-Power. With other lasers, automation involved taking down an entire shelf of material and working with that. With the L6, the company only takes down one sheet at a time, so it can nest and kit parts. Management can run a 13 gauge sheet and then a sheet of 16 gauge and then a sheet of aluminium and build up kits that way. Over the last 1½ years, Great Lakes has had a heavy flow of lean manufacturing, it is not batch manufacturing anymore. It is producing a lean flow with Finn-Power automation. On the L6, Great Lakes runs anything from 24 gauge cold rolled steel to 6.35mm hot rolled steel; 1.5mm – 4.7mm aluminium; and 20 gauge – 13 gauge stainless. It fabricates thin sheets so high speed and high quality in thin sheets is important. About 60% of the material Great Lakes puts on the L6 is between 16-14 gauge cold rolled steel. Currently, the L6 is running 20 hours per day, five days per week. The L6 replaced two older technology turret punch presses and has enabled Great Lakes to add 30-40% to its output. The big impact has not been the mass of parts it has been making but the flexibility. Now it can make one part without a setup and do a certain amount of business in what is called design changes. It sells a standard product – 482mm (19-inch) rack mounts for the IT industry. If a customer wants a fan in a certain spot on the door or they want a different networking coil, and they only want one or two of these parts, a traditional punching sheet metal shop would have a hard time making these few parts at a competitive price. But the L6 has enabled reduction of setup so as to make fewer parts for the same price as doing a large batch. This helps in customer satisfaction and Great Lakes is able to turn the one and two units instead of doing the 50s and 100s with the same net effect and still maintain profitability. Great Lakes report that the L6 has allowed it to fully embrace lean/flow manufacturing. It has reduced inventory of the sister company by $1-million in 12 months. One of the primary objectives was to allow Great Lakes Manufacturing to become a better vendor to the sister company. This has been accomplished because on-time delivery is running 98-99% and the rate of return is probably less then .002% in terms of reject rate. Great Lakes also purchased additional Finn-Power equipment: a hydraulic robotic press brake; a C5 Express (load/unload turret punch press); and an automated panel bender, the EB (Express Bender).